I modified this image and added the text a few years ago as part of my attempt to try to put some of the pieces of the puzzle together. Don’t get me wrong in quoting the bible, as I’m not religious by any means, it’s just a couple of verses that stuck with me. The reason I’m posting this now is that almost three years ago, I had a car accident, where a woman ran a red light and I broadsided her. My SUV was totaled. I didn’t have any broken bones, but suffered hearing loss, TMJ, whiplash, soft tissue damage and lower back injuries. Anyway, I got a letter from my lawyer, notifying me of a “Discovery” meeting regarding the tort claim. He submitted a couple pages of what to expect at this meeting. The process starts with a swearing in to tell the truth, and that activated my issues with so-called “authority,” figures that have immunity, privilege, and entitlement, and are not governed by the same rules that the rest of us are supposed to follow and OBEY. It brought up all that is wrong with this world; the denial spirits that run it and all those Order Followers who are “just doing their job” that are part of the system. When I look at all those involved in the system, (the BEAST) it’s no wonder that I feel overwhelmed and that the Earth is in the shape it’s in. Why this is activating me is because it will be me against the system. By that, I mean that it will be my opportunity to heal a lot of issues including expressing my feelings and emotions, and challenging old imprints, programs and beliefs, that I know they will try to suppress and deny. Speaking my truth and “walking my talk” in the presence of those that will try every trick to manipulate and control me is terrifying. A few years ago I had the unpleasant court experience where I discovered first hand, the power of denial. Now it will be an opportunity to see if I will repeat, or, witness the power of love. 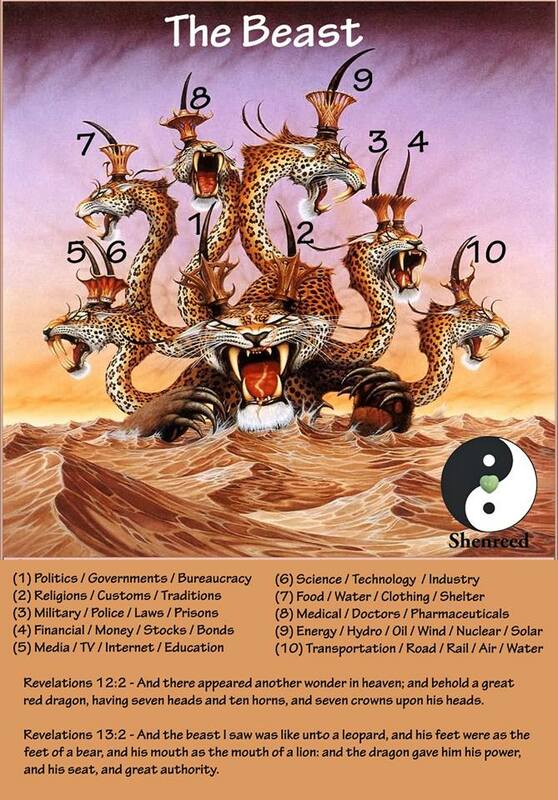 This entry was posted in Anger - Rage, Body, Conspiracy - NWO, Denial, Earth Changes, Energy - Oil - Electric, Fear - Terror, Feelings - Emotions, Financial, Food - Water - Shelter, Health, Health & Wellness, Heart - Heartbreak, Imprint-programs-beliefs, Love - Conditional, Love - Unconditional, Media - Internet, Medical, Medical - Drugs, Military - Police - Laws, New Age, Personal, Politics - Government, Religion, Science - Technology, Self-Empowerment, Society - Culture, Soul (Will) - Intuition-feelings-emotions, Spirit - (Mind) Thoughts - ideas, Transportation and tagged Belief System, society, The Beast, tort by johnrieger. Bookmark the permalink.